The usage of lime is very wide, common in the field of building, metallurgy, chemical industry, light industry,environmental protection, medicament, agriculture, especially in the industries of steel making, iron making, sintering, copper and aluminum smelting, taking lime as slagging constituent, fibrinolytic agent or sintered material, which play avery important role. 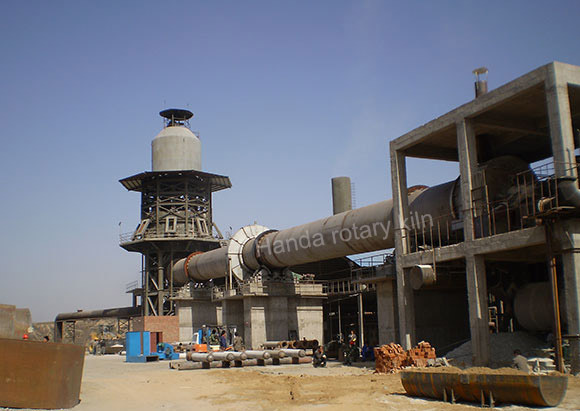 HANDA heavy industries has more than 10 years of experience in the lime burning,we provide customers with the rotary kiln calcination process and shaft kiln lime calcination process to meet the demand of customer for different processing purposes lime. 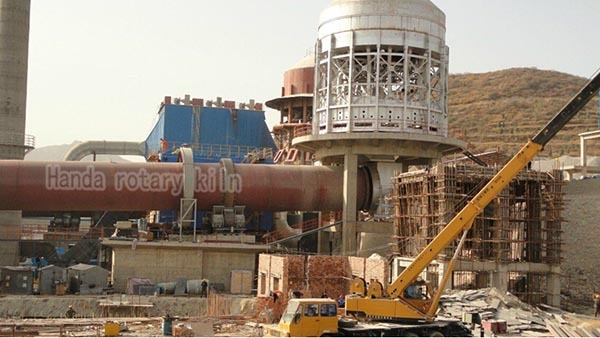 The shaft kiln lime calcination process is mainly used for small and medium volume production, low investment costs, simple operation and maintenance. After decades of work performance, it is proved that our company's technology and equipment for lime production is the best choice in lime production and metallurgical enterprises, but also suitable for light calcium, aluminum, new building materials, calcium carbide, power plant dust desulfurization, soda ash, paper ideal for lime and other deep-processing industry! 150-1000t/d active lime production line developed and designed by our company adopts “Preheater- kiln-cooler Process”, has better flexibility of raw materials and fuel, with high activity of produced reactive lime, providing excellent raw materials for steel and alumina industry. ★ filling-type, round or square vertical cooler can be partition ventilation, making the limestone temperature discharged from the cooler: 80 ℃ + ambient temperature, easy to transport, store, and can make the secondary air into the kiln is preheated to above 700 ℃, reduce moving parts and special materials. 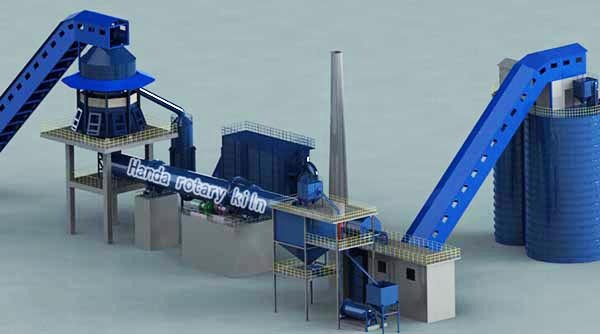 Both of gas fuel and solid fuel can be used for preheater–rotary kiln–cooler process, depending on conditions of local resources. Coal powder, BF gas, natural gas, or heavy oil can be used as roasting fuel. The above condition of raw materials is assumed and designed according to the convention. The physicochemical indexes and technological parameters will be fixed in accordance with experimental report after the confirmation of raw material condition. JHZL type of intelligent and efficient environmental protection lime kiln produced by our company, it is very popular to domestic and foreign customers because of its significant energy saving, environmental standards, high intelligence, high product quality, low construction cost, short build period. Some important technical index of JHZI type of fully automated and environment protection: The activity of lime ml:>320, including lime Cao%:>93, birth burn rate%:<5-7, CO2 concentration> 40%, utilization factor> 0.85 (up 100%), environmental indicators: 30mg / Nm3 (lower than the national environmental mandatory targets 50mg / Nm3). 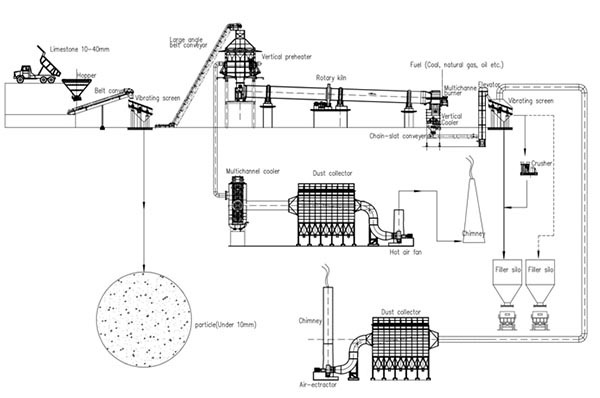 The available fuel of JHZL shaft kiln lime: coal, natural gas, blast furnace gas (calorific value ≥750 kcal / m3), mixed fuel converter gas, coke oven gas, mixed gas, coal, coal and gas. 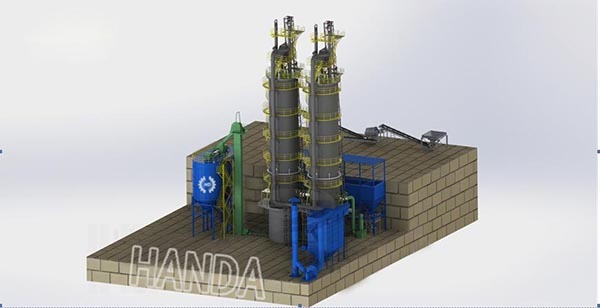 After decades of performance engineering proved, JHZL type of metallurgical is the best choice of furnace lime and lime manufacturing enterprises, but also is a furnace which suit for light calcium, aluminum, new building materials, calcium carbide, power plant dust desulfurization, soda ash, limestone and paper processing industry! Lime kiln supporting automation systems, intelligent master controller, intelligent detection level meter, rotary distributor, disc ash machine, both ends of the valve seal, guidelines hood, electronic weighing batching system, intelligent voice alarm flash, Roots fan, flue gas recirculation blower, air compressor, dust collector, centrifugal fan, multi-bucket elevator, shaker hanging, hanging feeder. 1, the unique furnace design: energy saving, environmental protection, intelligent. 2, dust removal system, smoke and dust match ingenious, smoke emissions standards. 4. The scientific principles of process, the most effective use of waste heat. 5, Establish the raw material-based science guiding ideology. 6, raw material and fuel weighed and mixed design novelty, easy to adjust. 7, peculiar fabric device structure, extremely mixing the cloth in kiln. 8, the keeping wind and uniform ash discharge, maintain good furnace conditions. 9, control means advanced in furnace conditions, detuning only 3-4 hours. 10, high levels of intelligent production, normal production by single-person’s operation. 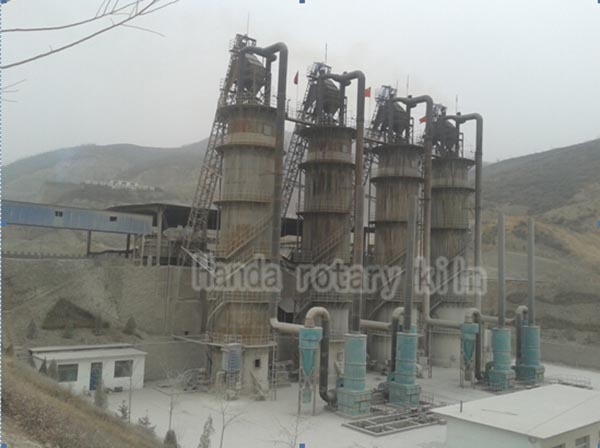 We are capable of offering a complete set of lime production line from input of raw material to output of finished products according to customer’s limestone and requirements, together with engineering design of main and auxiliary facilities, equipment manufacture, civil construction, installation and testing, personal training, and project generalcontract.